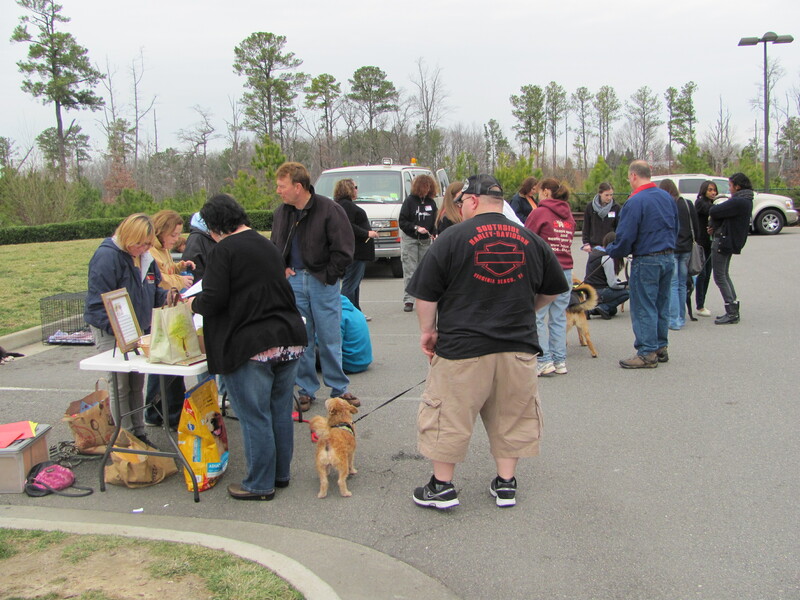 Every Saturday, BARK volunteers bring a selection of dogs from the farm to various pet stores around Richmond. Foster families can also bring their dogs whenever they want, even if a dog hasn’t been requested to be seen by a potential family. A week after Heidi joined our pack, I decided to take her to Petsmart for the whole three hours (12-3 pm). 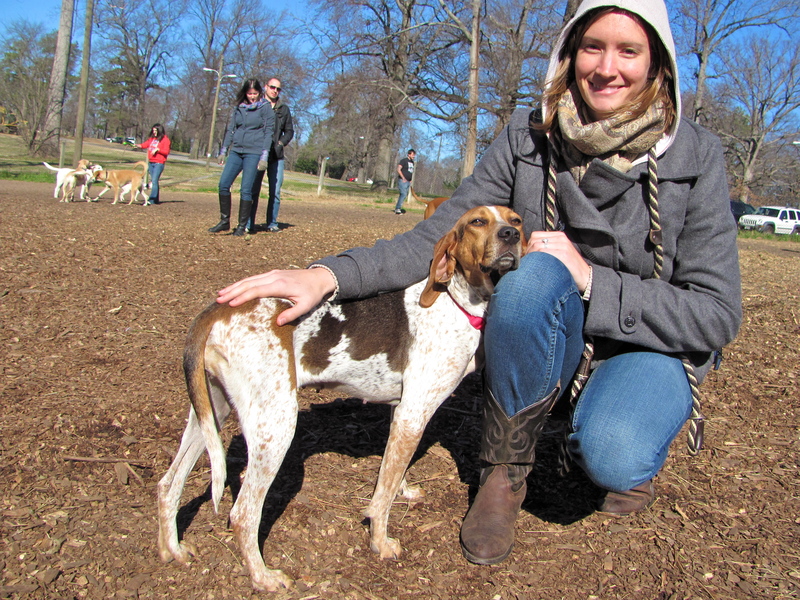 For some reason it’s tough to find homes for hounds and at BARK there are A LOT so the odds weren’t in our favor but with a great, big stroke of luck, she met an interested family! They told me that they’d bring their other dog to meet her the following Saturday. All week I waited on Kelley, the Adoption Coordinator at BARK, to send me an email telling me that she had been requested for the visit. By Thursday I hadn’t heard anything so I emailed her. She told me that the family hadn’t given her all the information she needed and that she couldn’t get a hold of them. My heart sank. They seemed like such a great family for Heidi! So this past weekend at 1:30 pm, I had a strong gut feeling that we should be back at Petsmart and not shopping. I made my husband turn the truck around so I could rush home and then drive over. Heidi and I got there at 2:00. Bob, the owner of the rescue, told me that the family had been by earlier. I had missed them!! Crap. About 30 minutes later one of the daughters showed up with the rest of the paperwork they needed to adopt Heidi. I didn’t know this at the time but when they came the first time, Kelley had told them what she needed so they ran right home to get it. Thank goodness they still needed that paperwork or they wouldn’t have come back! The daughter called the rest of the family so that they could bring their other dog to meet Heidi. If all went well, we’d be in the clear. After another 30 minutes, the family arrived. 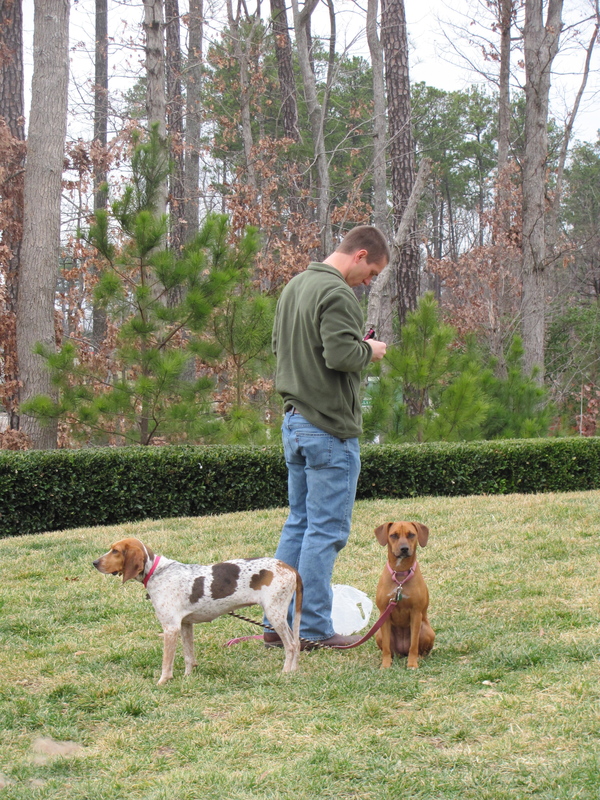 Both of the dogs have pretty passive personalities so neither of them were very interested in the other. We didn’t see any negativity though, so it was a match! The mom (from the phone) told us that she wanted a ‘trial run’ with Heidi just to make sure she was the right choice. I was informed that the only way they could do that was if they adopted her first. Bob said that if she didn’t work out, they could bring her back and get a full refund. YESSS. I would’ve totally done a happy dance but there were too many people around. As they wrapped up the paperwork, I realized she was leaving me… today. I hadn’t prepared for that part. Sure she’d only been at my house for two weeks but ever since January when we first met, I wanted to help find her a home. Now that day had come. It was time to say good-bye. I had one of the daughters take a photo of the two of us at that moment. Course Heidi had no idea what was going on but I have to admit I was a little upset! I took off her BARK collar so the family could put on her new one. I handed the collar to Kelley but she handed it back to me and said, ‘Do you want to keep it? You should keep it.’ I took it back and then walked the family to their car. And just like that she was gone. I have her collar to remember her by and a new facebook friend. They said they’ll post pictures of progress and playtime. I can’t wait to see them! 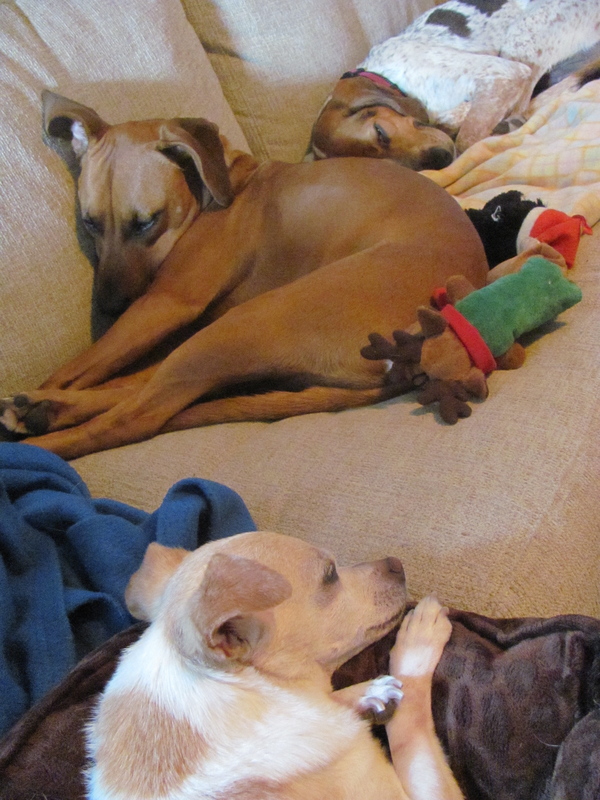 The other dogs at our house seem to be doing fine without Heidi. Without a hyper puppy to play with, Roary is sleeping a lot more but I don’t think she minds. She now has time to heal her playtime wounds and spend more time with her buddy Olivia. I meant to write yesterday per my Monday, Tuesday, Thursday schedule but a little something (or someone) got in the way this week. Let me start by telling you about my new job. I’ve been working as a Veterinary Assistant for about a month now and I love it. Along with simple tasks like a ton of cleaning and stocking, I get to play work with animals all day, help with labs, bloodwork, prescriptions, x-rays, ultrasounds and probably some other stuff that I can’t think of right now. Remember my blog’s tagline about helping others? At this job I get to help (yay!) and learn about fun medical stuff that I’ve always been interested in. I believe I’ve found a winner. No need to jump the gun but we’ve already had talks of me going back to school to become a Veterinary Technician! Of course I’m still it that ‘honeymoon’ phase with my new job so I’ll give it some time before I plan my next move. My new career is already much more fulfilling than my old one so I’m making progress! Back to that ‘little something’ that I mentioned at the beginning of the post. On Tuesday I got to witness just how much Veterinarians can help animals. I was assisting my doctor in an appointment for a possible euthanasia. This was my first euthanasia so I expected a very sick, old dog with very sad parents. That’s not what we found. Between a lot of laughter and jokes, the owners complained about how the dog would always cry, couldn’t walk well and often had accidents in the house. Oh and that she possibly had cancer. 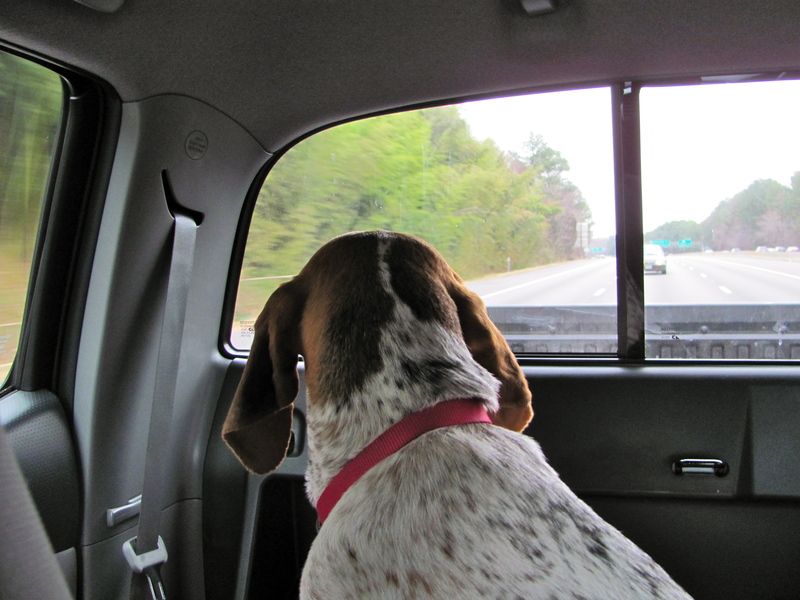 They then said that they were moving and couldn’t deal with having to stop every couple hours (on the drive to the new state) to let the dog go to the bathroom <- I found this comment odd since it’s not a reason to kill a dog. The whole situation just didn’t sit right with me. After the parents left the room and we were alone with the dog, the doctor decided to put her on the floor to see if she could walk. She had already been eating treats out of my hand during the appointment, (not looking like a dog near death) so he wanted to test her out. The dog walked slow since she was 14 but pretty well!! It was crazy to see her move easily since her owners said she usually had a tough time. The doctor decided that he just couldn’t go through with it. There was no eminent reason to put her down. In the end the owners gave the dog over to the clinic and in turn we saved her life! She is currently sitting beside me on MY couch in MY home. 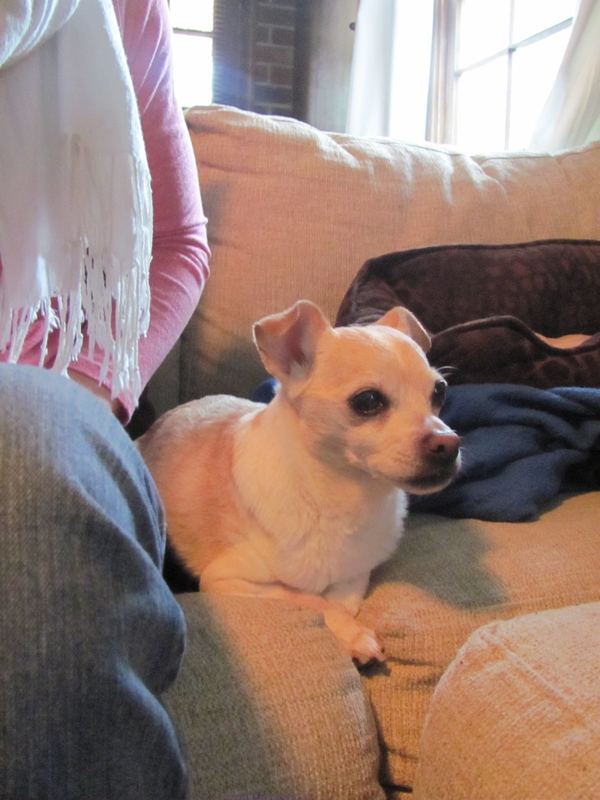 Yep, we’re testing her out… and she’s a chihuahua! Baha. Her small size is why she can be 14 and still have a few years on her. We’re going to keep her for a week to see if she meshes well with the family. At the moment I feel that it might be better for her to be with a family where there’s someone at home with her all the time. 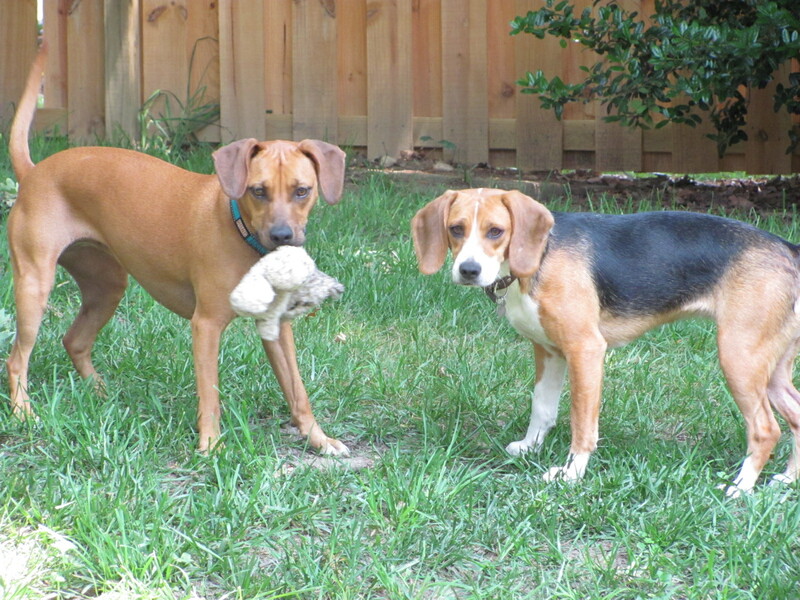 We’re a very active family so maybe an older couple would be a better match for a slower-paced dog? I’m trying to keep an open mind though! Either way, the clinic that I work at will make sure she finds a good home. I love my job. It appears that her previous owners spoiled her rotten and maybe even carried her everywhere which is common for such a small breed. I say this because she sometimes sounds like a dying piglet when she’s left alone (all night!) or wants to be picked up. It’s not pleasant. I think they would come to her aid every time she made a peep so she has learned that crying is the best way to get what she wants. Not in this house though! She’ll learn in time… I hope. Oh and all the issues her old owners talked about? None have been true except for the crying. 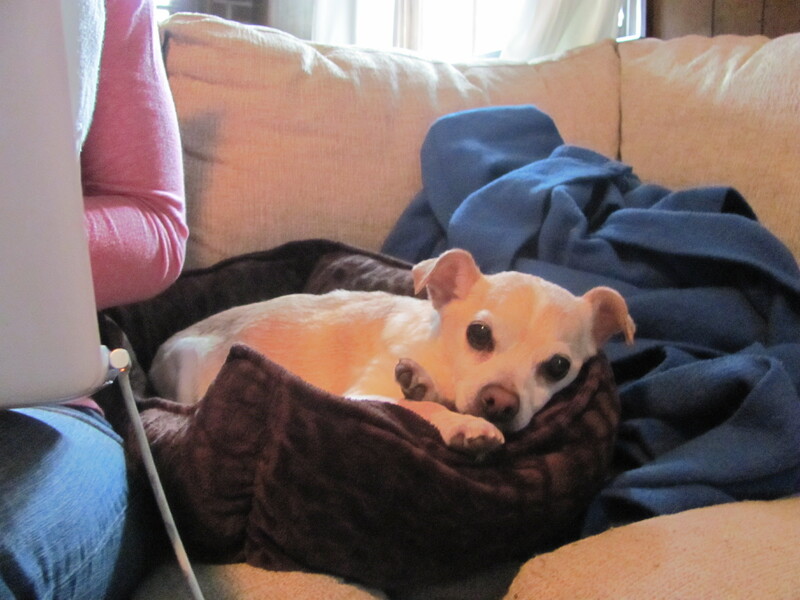 It was amazing to find that her bloodwork came back negative – no cancer, no diabetes, no nothing. The little lady has a pretty bad heart murmur and really bad teeth (AND BREATH, yikes) but that’s it! She hasn’t had any accidents and during her second night here she only woke up twice to scream cry. Not to shabby for a dog that was supposed to be euthanized. Every time i see her walk or sometimes RUN, I shake my head in disbelief at how someone would even consider putting down their dog of 14 years even though it was fine. So sad. I feel like this post is one big opinionated vent but I have to tell you, my best friend was in a situation where it was best for her to re-home her dog and it worked out wonderfully! The dog is now in a loving home and both of them are happy. I think that’s the best way to go in these types of situations. And even though I now have a direction towards a more fulfilling career, my husband and I will still be volunteering at various places because we enjoy the experience and helping others. Do you plan on volunteering this weekend? Since I’m currently watching paint dry for tomorrow’s post I thought I’d update you on Olivia since it’s been awhile! 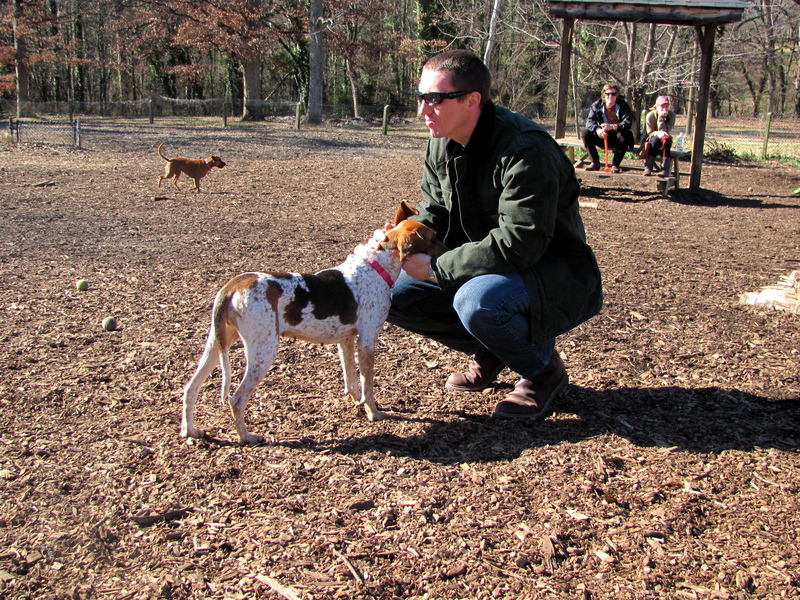 Yesterday we went to the dog park. I don’t know if it was the smaller amount of dogs in the park due to our earlier than normal arrival but it was a turning point for Olivia. She PLAYED in PUBLIC. If you’ve read my earlier updates about her, (found here and here) you know she’s a timid lady so for her to have the confidence to play is super exciting. they're playing not fighting, I promise! 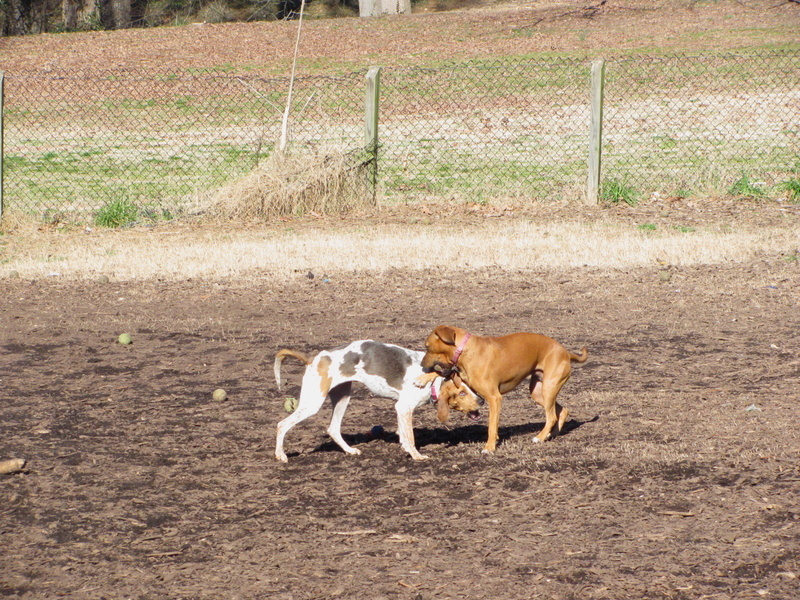 She mostly stuck to running with Roary but she did have some bouts of playfulness towards other dogs. Olivia is still eating well but as I mentioned before, Roary is having trouble staying out of her bowl. A couple times now I’ve even caught Roary growling at whoever is too close to her own bowl. ME included! I laid the smackdown when I caught her in the act – by making her submit and lay down on her side until she relaxed. I won’t tolerate a food aggressive dog in my house! Roary’s issue isn’t helping Olivia so let’s hope I can get her under control. They don’t have any problems drinking from the water bowl at the same time though! Hmm. Walking is going so much better. I purchased two new leads (found here) for the girls that keep the loop at the top of their necks so they are easier to control. Instead of stopping when Olivia starts to pull, I now tap her on the side of her torso with my foot (as always, Cesar Millan style). Because she’s so skiddish, she stops pulling right away and falls back in line with Roary. This is a great example of my dogs’ difference in personalities. I could probably kick Roary across the street and she’d still be staring at an elusive squirrel but with Olivia it’s just a tap. For Roary I use the tug to the side approach which (usually) snaps her out of her pulling trance. Oh and Olivia still freezes when big trucks go by which I admit IS a bit scary when they’re flying down the road. She’s also not barking at other walkers anymore. She might let out a little growl but once they get close to us she’s fine. She did have an accident yesterday but we tested the girls by leaving them with free range of the entire house for two hours while we were gone. In the past couple weeks we went from keeping them in their crate to letting them roam the kitchen/den area. We’ve only tested the kitchen/den area a couple times so expanding their freedom to the entire house was probably premature. It’ll take a couple tries before Olivia realizes she just has to hold it until we get back! As I mentioned earlier, this is going great! Course now they’re so comfortable playing that they like to jump on my bed at 6:30 in the morning and wrestle. As you can see from this picture, it’d be pretty intense for the early morning! His patience is waning but Olivia is still making good progress with him. The other day I heard a girly yelp from the other side of the room. I looked over and saw that Olivia had jumped up and put her paws on my husband’s stomach. (She often does that when she’s excited). The girly cry had come from the excited grown man with the giant smile on his face. I have to tell you that this man does not show much emotion so it was a hilarious sight to see! She also willingly sits near him these days. In comparison to when we first got her – she would run out of a room if he were in it. Breakthrough indeed! We are so glad that she’s a part of our family. She’s learning commands, showing emotion, and getting more comfortable each day. It’s so fun to watch her progression. At first we thought she might be too mellow for crazy, cooky, Roary. But we’re finding out that she has a very entertaining personality as well! Now that she’s settled in, we’ve been discussing our next foster. We’re thinking we’re going to stick to just one for now and see how it goes. Next Saturday we’ll be volunteering at BARK again so we hope to make a decision then. 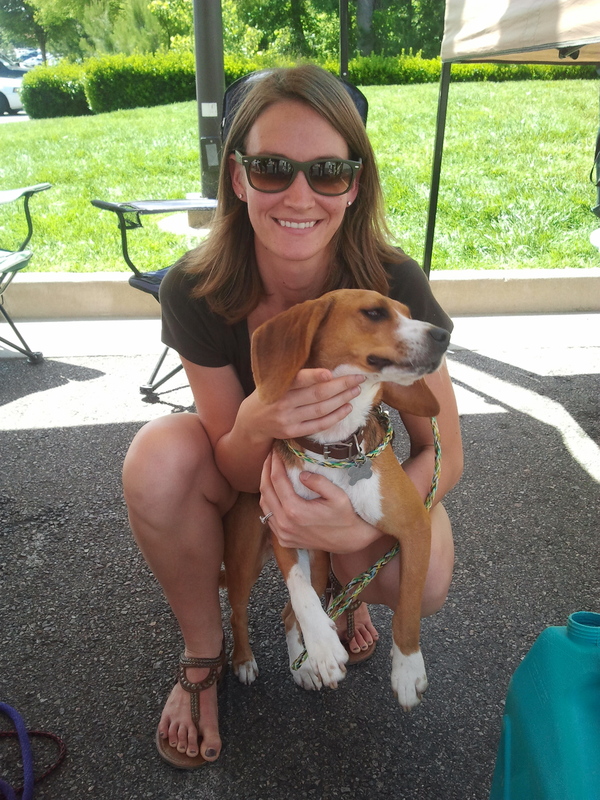 Yesterday we went to Petsmart (where BARK has their adoption stand) to officially adopt Olivia. Even though we knew we were going to adopt her all along I was pretty pumped. There were lots of people looking to adopt which was so great to see. 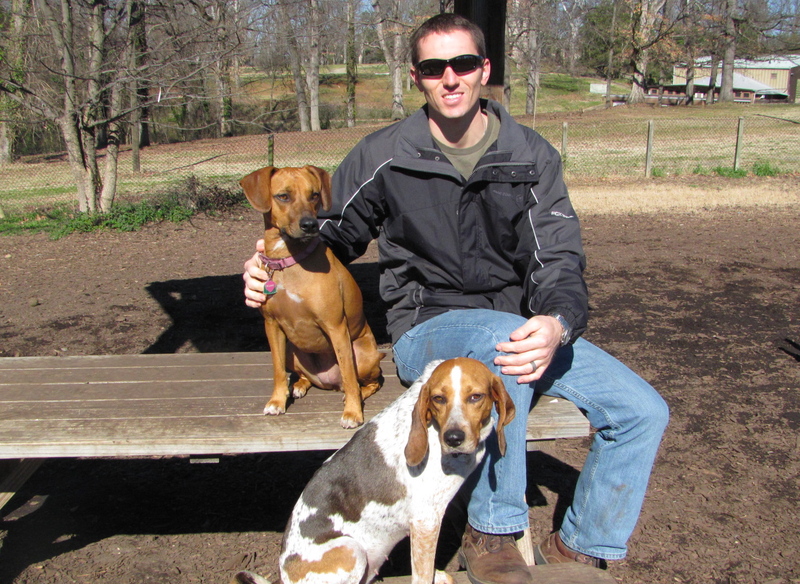 The BARK volunteers were happy to see Olivia but sad to see her go since “she’s such a sweetie”. 🙂 One of them even said she looked like a totally different dog because she didn’t seem so scared! That made me very happy to hear, especially after hearing a new story about her past. As I’ve mentioned before she had been at BARK for 14 months and before that she was at another rescue. Little did I know, the last ‘rescue’ had terrible living conditions. BARK actually saved 28 dogs from this place. The volunteer who told me the story said that all the dogs were very malnourished and just miserable. I’m now even happier I get to give her a whole new, happy life. It was a lengthy process or maybe it just felt like it because of the nasty weather. 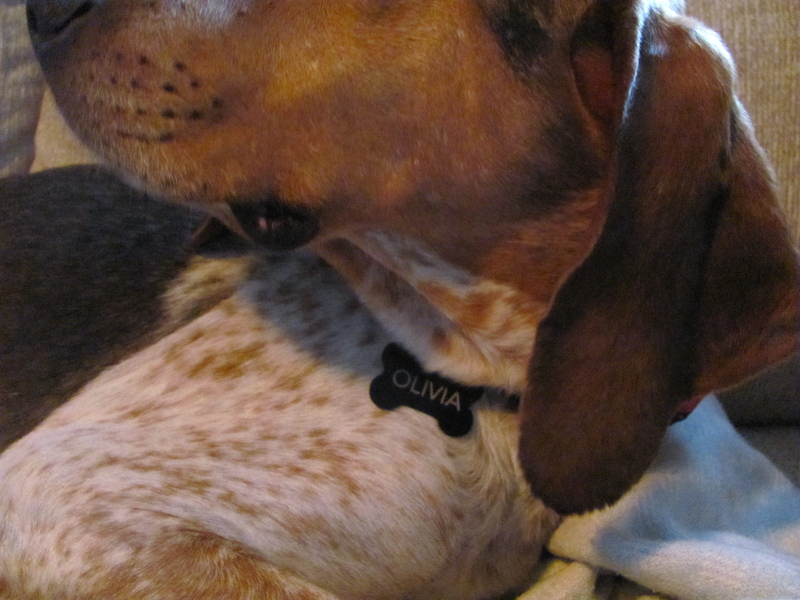 We had to buy Olivia a new collar and tag and show proof that we had our contact information on it. Then I had to fill out the paperwork and pay the adoption fee. Okay, on second thought, that doesn’t sound lengthy at all. It was definitely the cold rain that screwed up my sense of time! Annnnd after that she was ours! 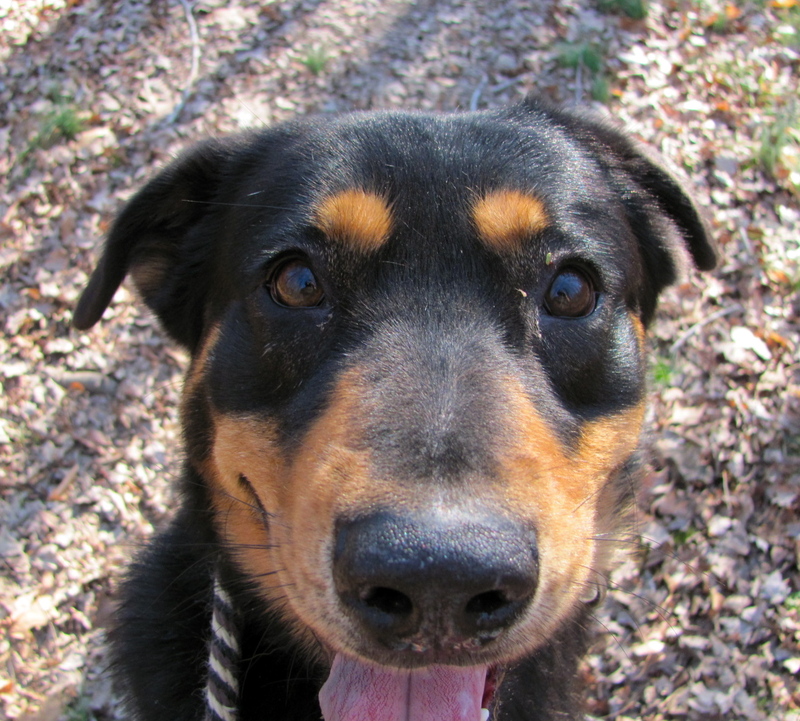 Twenty-five percent of dogs who enter local shelters are purebred. The majority of pets are obtained from acquaintances and family members. About 15 to 20 percent of dogs are purchased from breeders, and 10 to 20 percent of cats and dogs are adopted from shelters and rescues. Barf. That’s really depressing. It’s statistics like these that have made me realize that there isn’t an option, we must rescue. 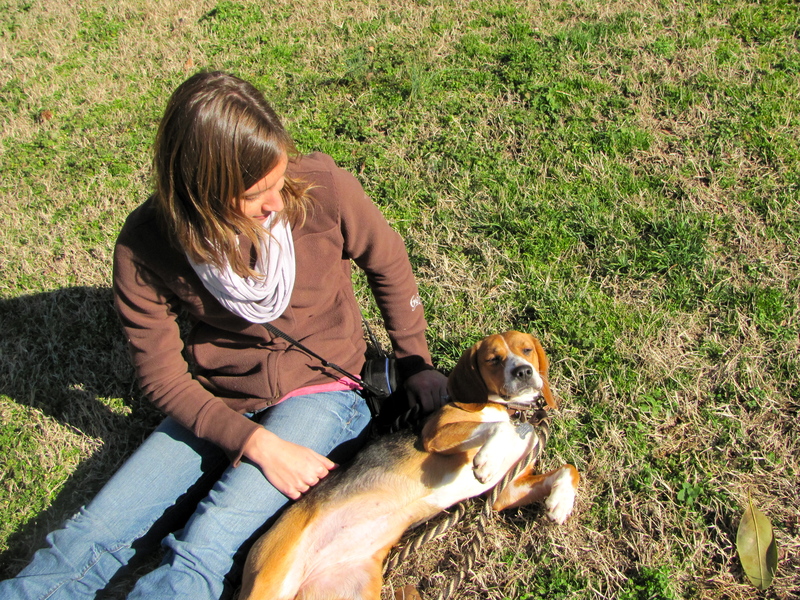 If you’re someone who only wants a purebred, why not find one at a shelter? 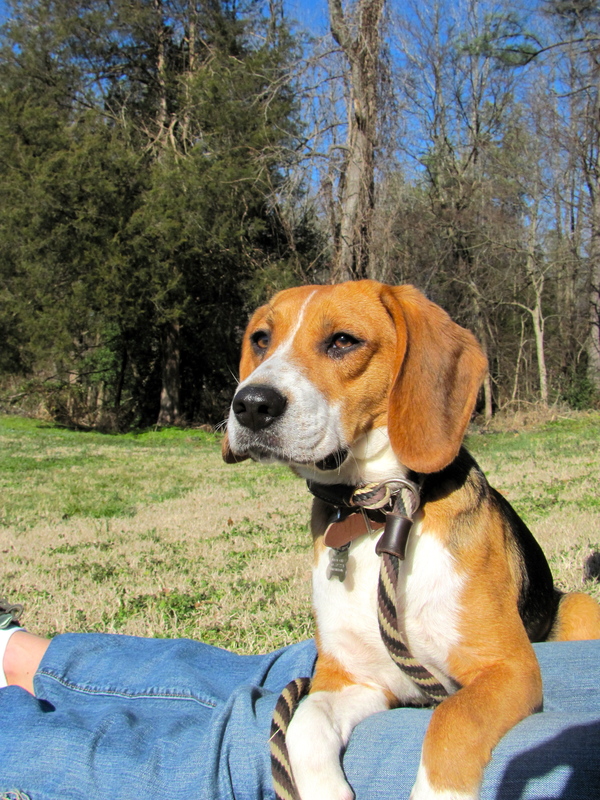 My beagle friend Heidi is a beautiful purebred who we hope to foster. It may take a little while longer to find the breed you want but HEY you’re saving a life. No matter where a dog or cat comes from you know they’ll give you lots of love and brighten your spirit, so why not help one in need? I have a shadow and it’s name is Olivia. Olivia has a shadow and it’s name is Roary. This results in a doggie conga line every time I go anywhere. As I type right now I have to pee terribly but I don’t want to start the party! Fun times at this household. Anyways, I’m going to keep with the same topics as her week one post so it’s easier to compare her progress. Here we go. 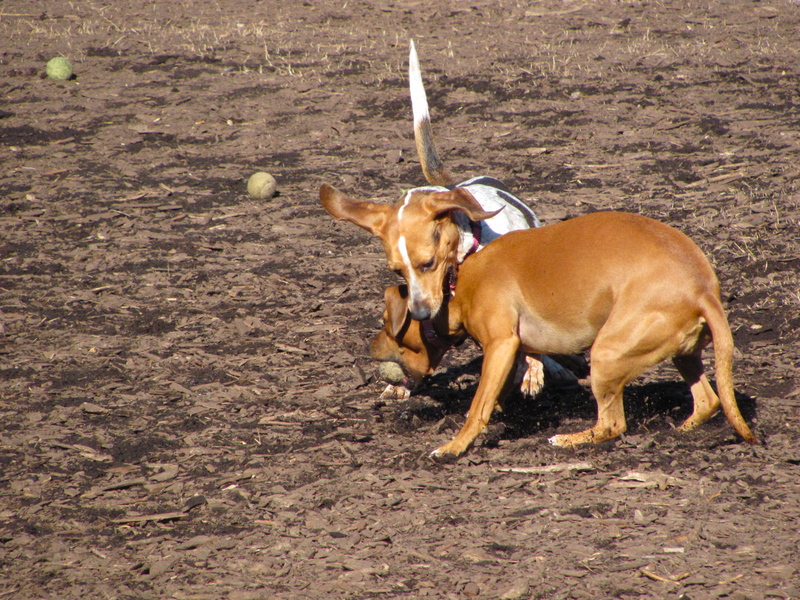 The dog park this past weekend was an improvement. 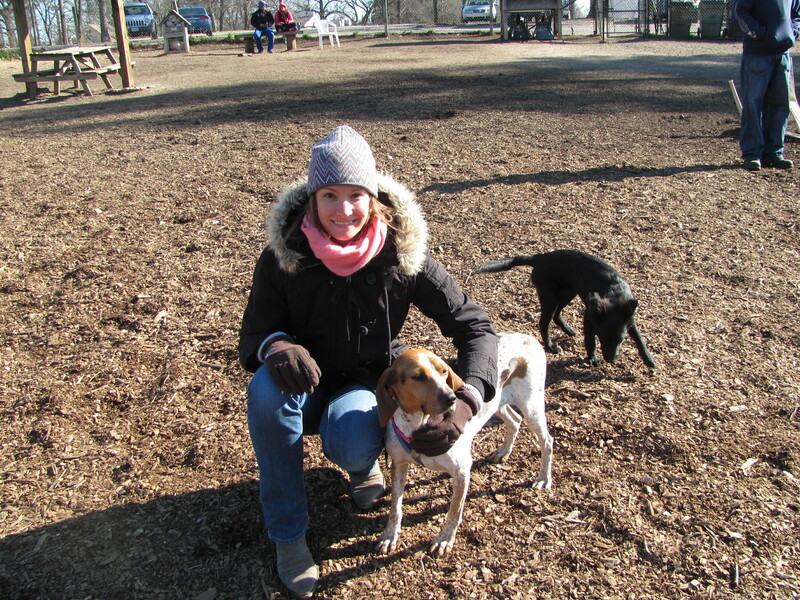 Instead of smelling and running around by herself, she actually interacted with dogs! She ran with confidence and spent more time away from me. Roary even acknowledged her at the park now that she has realized Olivia will be sticking around! She is now eating regularly and taking treats although she still gets skittish if too many people are near her bowl. I’ve been giving her less and less of the the wet dog food to wean her off of it and she’s still eating well which is great. Roary the Fatty can’t keep her nose out of Olivia’s bowl so I’ll be very happy when the wet dog food is gone! On our walks this past week I’d say she only freezes in fear once or twice which is awesome. People are her main issue now although she did pretty well yesterday when we encountered a lot. Anyways, if they are walking or running towards us she might try to move away in fear or bark. Bark! Can you believe it? That’s not a good thing for her to do of course but at least she’s showing some strength. Also, most of the time she’s still pulling so when it gets too severe I stop walking and wait until she loosens the tension (like last week). She has gotten much better at this! I don’t recall any accidents in the house last week. Now that our fence is up (I’m really sorry trees but I needed it!) she has gotten used to going in the backyard regularly. Dare I say we’re done with this issue?! Last week I saw Olivia pounce Roary’s Christmas stocking. Her first playful act! I have no idea where the stocking came from or how it got to the middle of the living room floor but I froze with excitement. That was just the beginning. Olivia now wrestles and chases Roary in the backyard. It’s a wonderful sight to see considering we had no idea how much time it would take her to relax and open up. A week and a half I suppose! napping after the dog park. Roary now expects Olivia to play with her often which Olivia could care less about. Example -> Roary drops a toy in front of Olivia. No dice. Roary then whimpers dramatically like the drama queen she is, “Why won’t you play with me?! I gave you my toy! My life is OVER.” Less then five minutes later Olivia is still asleep and Roary has joined her. It’s entertaining to say the least. Oh and as a tip to other people with a new second dog: Since Olivia is so mellow I went ahead and made her and Roary sleep in the same (giant) crate every night. I’d say if you have two dogs that seem to get along just fine then go for it! It might help speed up the bonding process. My husband was gone all last week so we didn’t expect much progress when he got home on Friday. We were pleasantly surprised! She’s still jumpy around him but doesn’t run away in fear. She even approached him multiple times at the dog park! We couldn’t believe it. So far he has taken her and Roary on two walks by himself. Before he couldn’t even get her out the door let alone to the street! Amazing. aww, bonding. can you see roary? All in all it was an awesome week with lots of surprises. I’m hoping she’ll really shock me and start playing with toys in the next couple weeks. She often sees Roary running around while growling like a maniac with sticks and toys in her mouth you’d think she’d catch on! Maybe, just maybe. P.S. My next post won’t be about dogs I promise! Sidenote: I need to get a weekly schedule down for my posts since it’s a little sporadic at the moment. Right now I’m trying to decide on how often I want to write and when it is possible for me to do it! I hope to figure it out soon and I’ll let you know what the plan is when I do. Thanks for bearing with me in the process! On Saturday my husband and I went back to BARK. The first time I went I was nervous and didn’t know what to expect. This time around I was recognized by familiar faces (which was so nice!) and I also already knew what I was supposed to do. Familiarlity = comfort. There were so many more volunteers this time! I’d say 3 times as many. It was a nice surprise to see so many people wanting to help the dogs and well, last time was super exhausting so more help is awesome! Lots of people were bringing the dogs from the kennels to the outside runs (so that the kennels could be cleaned) so my husband and I stayed inside to scoop poop and lay new wood chips the whole time. It’s amazing how okay I was with the barking and the craziness this time around. I got my tools and just got to work. Because of the large amount of people, the chores got done in half the time. I felt like I had barely done any work even though I definitely had! 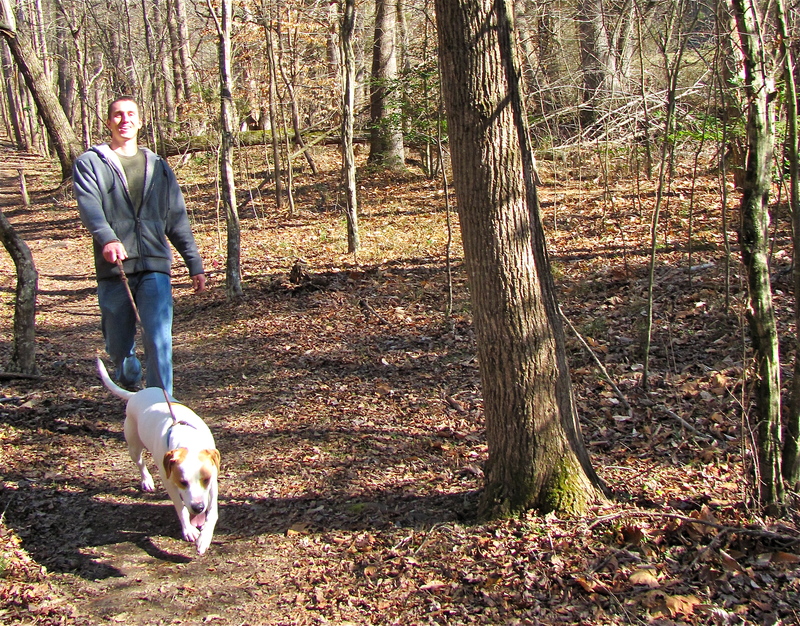 Since we finished the chores early, we were able to spend more time on the hike and with the dog of our choice. My husband’s favorite dog, Rocky, is actually ‘reserved’ for one of the regular volunteers (which is so great for Rocky but sad for him!) so he decided to take his next favorite, Spot. 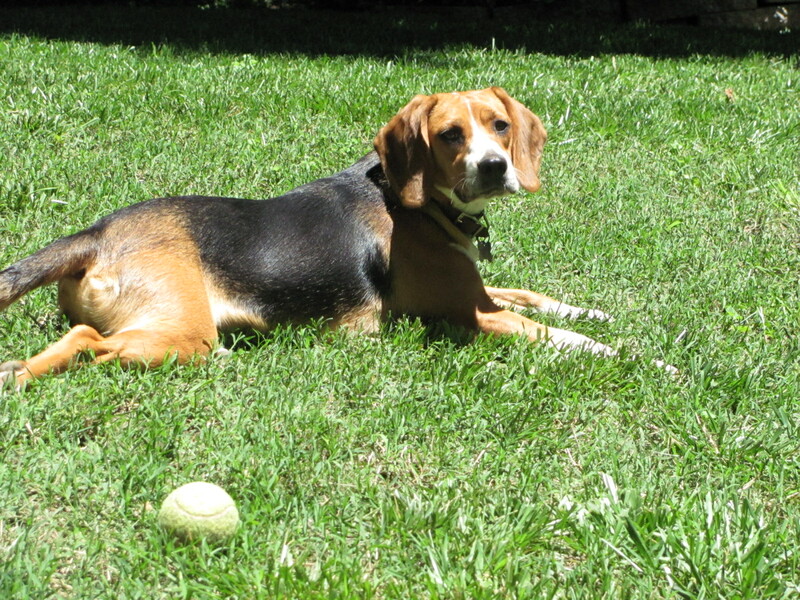 My pick of the pack was the same beagle from last time, Heidi. She is just too sweet. may I have a belly rub please? Cue the ‘Awwww’. I bet you can guess where she’s going to end up! Answer: my house. We discussed adopting or fostering the two of them because well, we just can’t help ourselves. My husband and I are crazy but I don’t care! The plan. 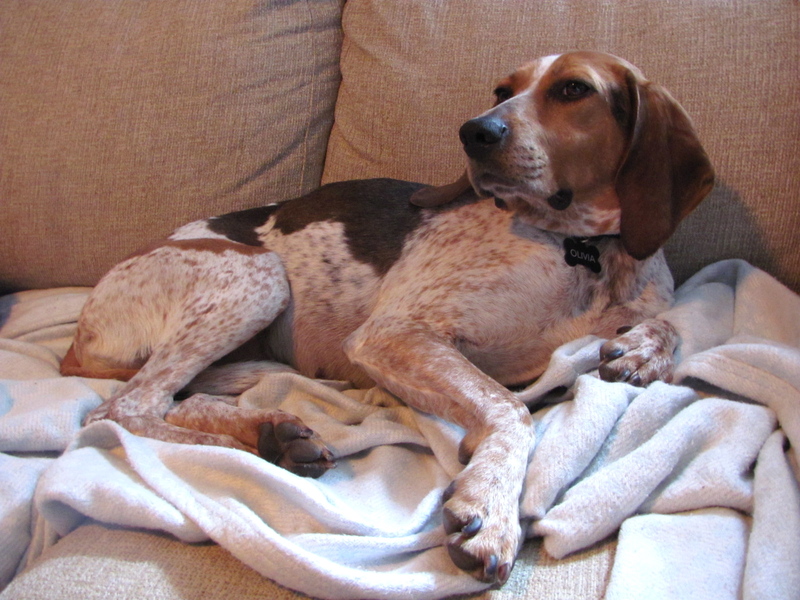 The plan is that we’re going to give Olivia, our first foster, a couple more weeks before we take on any other dogs. 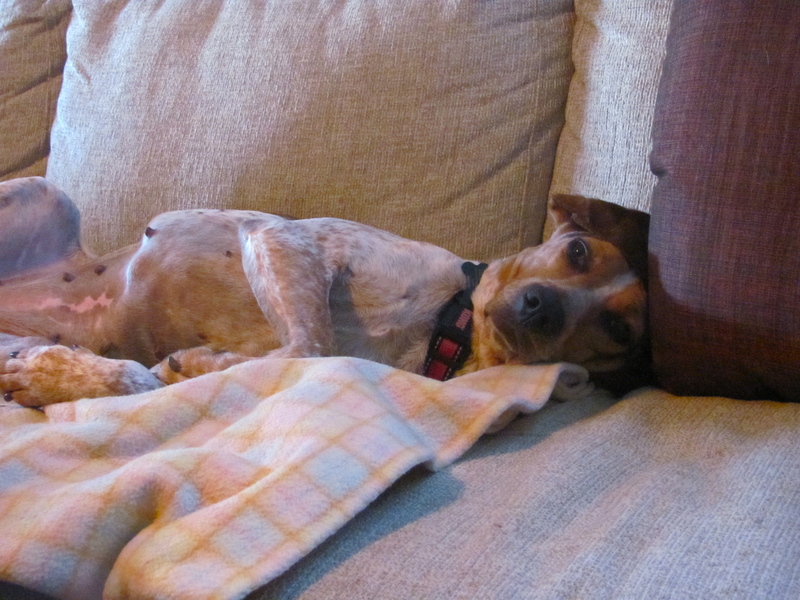 We want Olivia to be super comfortable at home since we’re officially going to ADOPT her next Saturday. YAY!! We planned on adopting her the whole time. We just wanted to make sure that she would be happy at our house first before she became a part of the family. Back to the plan. 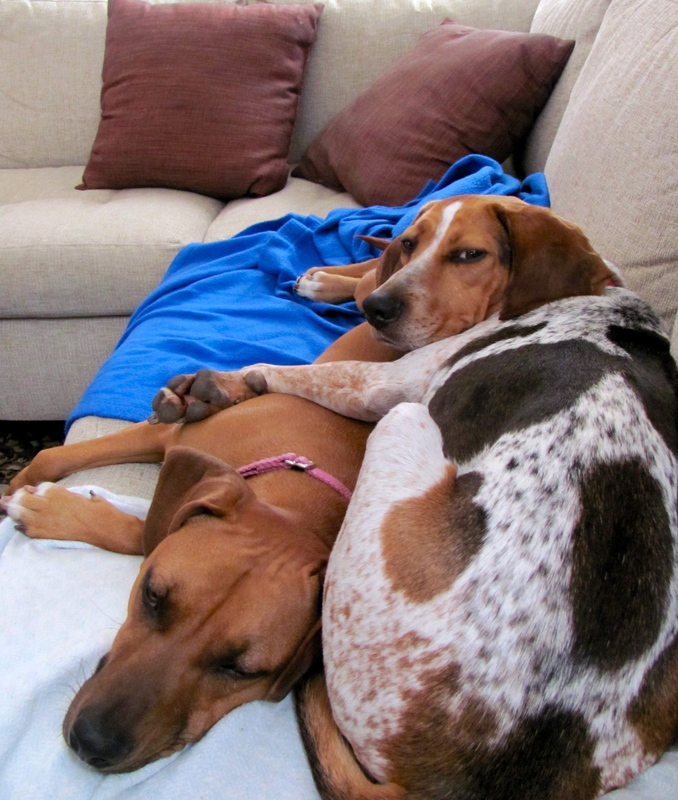 We agreed that we would only foster and not adopt Heidi and Spot. If we keep adopting dogs then we won’t be able to help nearly as many. Of course we are madly in love with these dogs and know that it’s going to be horribly difficult to give them up if/when the time comes but it’ll be for their happiness and that is the MOST important thing. I’m pumped and a bit terrified if only because Spot is a BEAST (giant). I bet I’m going to have some entertaining stories soon enough. This house is going to be a zoo! Olivia has now been with us for a whole week! I thought everyone would like to hear about her progress so here ya go – a couple of random tidbits. The day after we got her we took her to the dog park. I thought it’d be a good idea since she probably hadn’t had the freedom to roam and play in years. 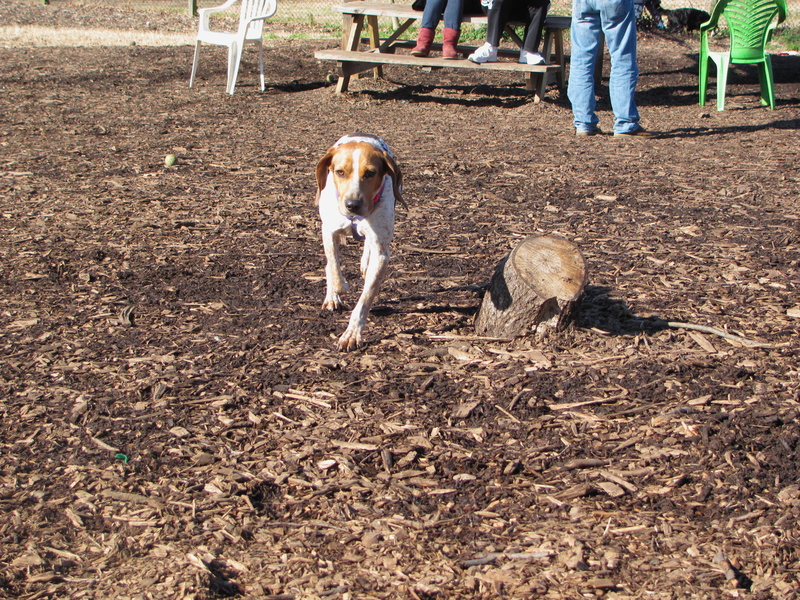 She was pretty scared of all the commotion and dogs but I think she enjoyed smelling everything and running a bit. Hopefully tomorrow when I take her she’ll interact with the dogs a little more. Even after a day I could tell she was already more comfortable with me. Multiple times she would run away in the park to smell and then run right back. It totally made my heart melt. 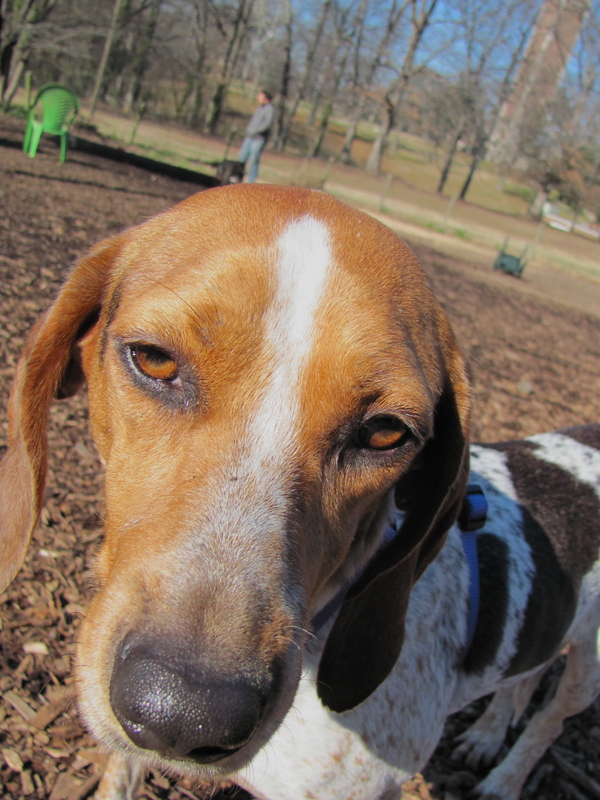 look at those hound eyes! Since she’s super shy the main issue of the week was making her eat. The first thing I got her to take was some cheese and a dog treat. Then, I finally emailed BARK after 3 days of no meals and they told me to use wet dog food which definitely did the trick! Ah, mommy relief. Again with the timidness. At the beginning of the week it was walk ten feet then freeze from fear or pull so hard that I’d almost face plant. The fear I would ignore until she started walking again but the pulling was a different approach. She would get too scared when I’d try to ‘bite’ her or snap her leash (the cesar way) to correct the issue so instead I would stop and not move until she backed up and loosened the pull. This teaches her that if she doesn’t pull she gets to keep walking. Multiple times I stood there like a weirdo in the street for what felt like 10 minutes but it didn’t matter. It was for the good of the dog. It even helped Roary with her patience and pulling too! <- added bonus. Pretty much every day we’ve had an accident inside the house so to potty train her this week I have frequently spent 10-25 minutes of my life shivering in my slippers and parka waiting semi-patiently for her to pee outside. As of now I think I have only given up 2 or 3 times! Success. Roary is one hyper pup. 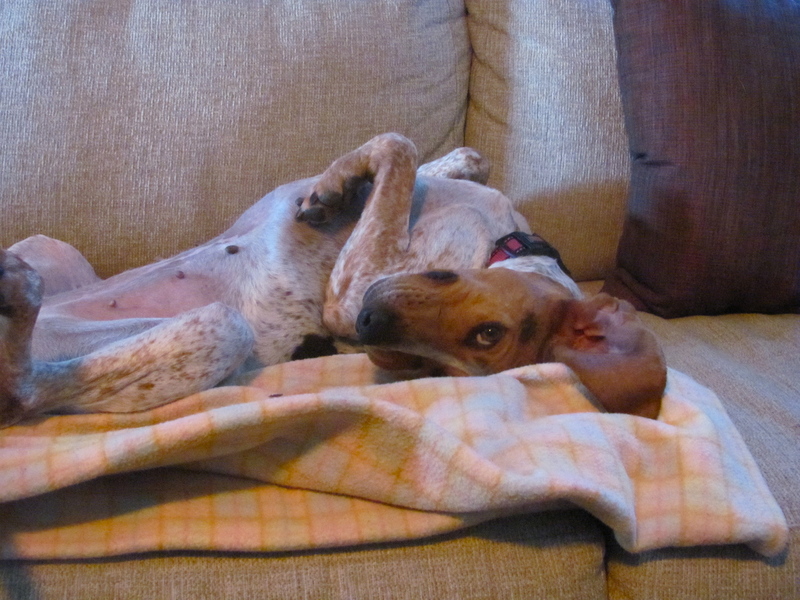 Hyper pup + Chill hound = well not too much. Olivia has had a couple bouts of playfulness that are SUPER exciting but she doesn’t play with Roary just yet. She just ignores the craziness. Oh but my sister told me that she picked up a toy today! She didn’t seem to know what to do with toys earlier in the week so this news is awesome. I might just die if she runs after something that I throw. To dream! The toughest thing about Olivia is not her issues but that I have to do most of the training on my own because she’s too scared of my husband at the moment. We wouldn’t want her to go back into her shell and never come out so once she’s improved and isn’t scared of him we’ll introduce him back into the training. I think she has made great progress so far. I can’t wait to see how much more she will improve in the next week! Sidenote: Tomorrow I’ll be volunteering at a new place so check back in to see how it goes! P.S. don’t worry about Roary! She’s still my best buddy and is spoiled rotten.